Poll: Should free travel for pensioners be means-tested? Reports today suggest the Government is considering bringing in an income threshrold for pensioners to receive their free travel. Good idea? Bad idea? 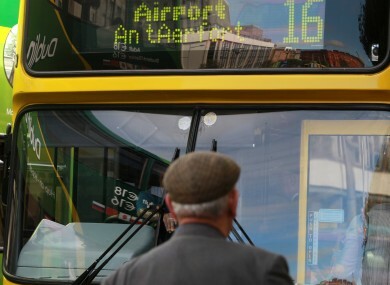 THE GOVERNMENT IS considering the introduction of means testing for travel passes for pensioners, according to reports. The Sunday Business Post says December’s Budget may see the introduction of an income threshold for free travel, with only those who earn less qualifying for the pass. Everyone aged over 66 in the country is currently entitled to the free travel pass which covers all public transport, under a scheme introduced by then-Taoiseach Charles Haughey. However the Troika has urged the Government to cut back on universal social welfare payments in a bid to save money. What do you think? Should free travel for pensioners be means-tested? Email “Poll: Should free travel for pensioners be means-tested? ”. Feedback on “Poll: Should free travel for pensioners be means-tested? ”.